On November 25 and 26, 2015 representatives from LA Referencia, OpenAIRE and COAR met in Rio de Janeiro to discuss the adoption of common metadata guidelines for repository networks and identify areas for further collaboration. A major, important outcome was an agreement between the two networks that they would adopt common metadata guidelines (OpenAIRE Guidelines) and participate together in their further development over time. This will ensure much greater interoperability between the content in the repositories in these regions. LA Referencie and OpenAIRE will adopt common metadata practices, based on the current OpenAIRE guidelines and the vocabularies being developed in the context of COAR, for repository networks and develop these guidelines in collaboration. COAR, LA Referencia, and OpenAIRE will explore ways to build capacity for managing repositories and repository networks in Latin America, particularly in terms of the implementation of best practices. 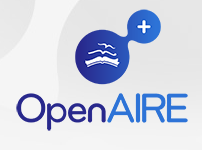 Under the auspices of COAR, LA Referencia, and OpenAIRE will continue to work with other national and regional networks to promote the vision of a global repository network and investigate common services in support of open access and open science. Kindly read the full press release here.